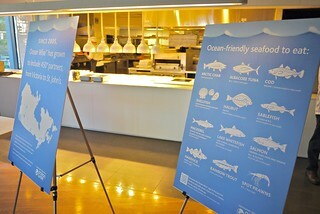 Ocean Wise month launch at Oru Restaurant inside the Fairmont Pacific Rim Hotel in Coal Harbour on November 8, 2012. 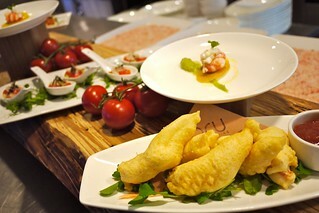 Hot and tasty cornmeal crusted popcorn spot prawn before the salmon tartare. 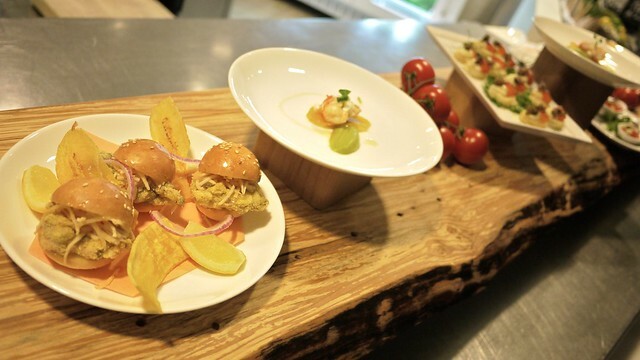 Plating oyster po' boy sliders and a single spot prawn escabeche (with avocado and salsa). 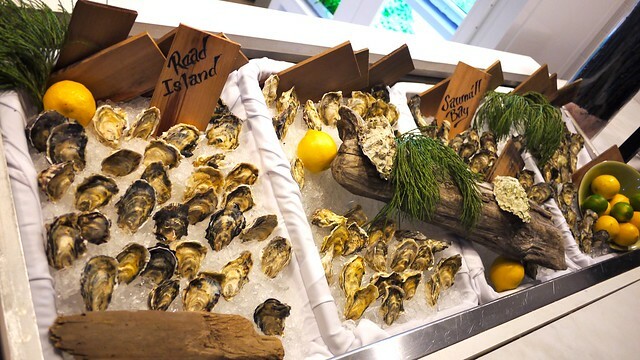 Freshly prepared oysters from Read Island and Sawmill Bay on ice waiting to be shucked. 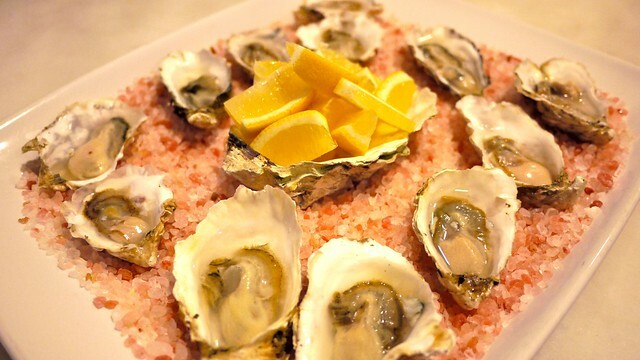 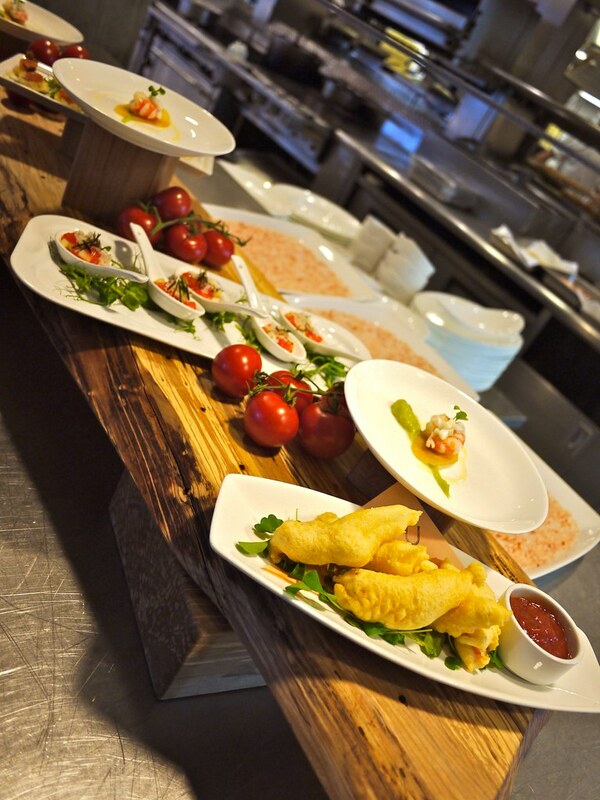 All in support of promoting sustainable seafood and wise eating and lifestyle practices.